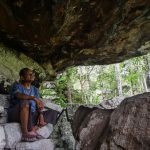 A remote cave’s cherished ancient paintings withstand the elements, but face an uncertain future. The cause of a fire that destroyed more than 30 houses on Tuesday in a small slum inhabited by recycling collectors, in an area surrounded by new housing developments in southern Phnom Penh’s Meanchey district, will likely be determined today, according to officials. Four Cambodian bodybuilders won medals at the 13th Southeast Asian Bodybuilding and Physique Sports championship in Thailand during the past week, with the reigning Mr. Angkor, Tek Bunvy, taking home a gold. 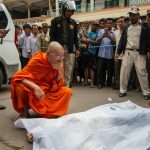 A Defense Ministry official was stabbed to death outside a busy market in Phnom Penh on Tuesday morning by a helmeted assailant who fled on a motorbike and remains at large, according to witnesses and police. A ship carrying 2,766 head of Australian cattle will this morning offload the first delivery of beef cows from the Pacific nation since Phnom Penh and Canberra finalized health protocols two years ago, the importer said on Thursday. 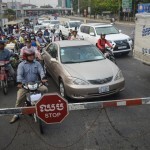 As Royal Railway increases its traffic—there are now up to 16 freight and passenger train journeys daily along the 266-km line between Phnom Penh and Sihanoukville—big collisions and near-misses with crossing vehicles are occurring with alarming regularity. Apparently tired of allowing British businessman Gregg Fryett to berate the prosecutors and other officials responsible for his imprisonment, the presiding judge in the long-running trial of the accused fraudster and four associates halted proceedings mid-hearing on Wednesday after chastising the defendant. 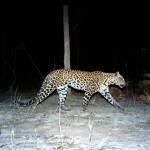 Cambodia’s population of spotted Indochinese leopards will be extinct by 2018 unless action is taken to deal with the “snaring crisis” in Mondolkiri province, where the few remaining leopards live, according to the author of a forthcoming paper on the issue. 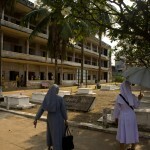 Almost 3,000 more people were imprisoned at the notorious S-21 interrogation center than previously thought, the Khmer Rouge tribunal’s co-investigating judges have asserted in a recently declassified memo. Phnom Penh’s first location of the U.S. donut giant Krispy Kreme marked its grand opening on Sunday with boxes of free donuts to eager fans. Russian fugitive Vladimir Batalin will be deported to his home country to face charges of defrauding a Russian provincial government out of hundreds of thousands of dollars, the Court of Appeal ruled on Wednesday. 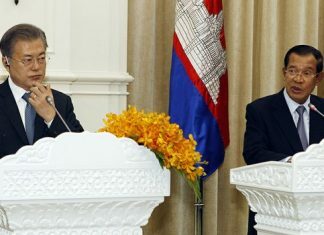 The National Olympic Committee of Cambodia has sought the help of the Ministry of Foreign Affairs to find ethnically Cambodian athletes worldwide to bolster the rosters of the nation’s sporting teams, president Thong Khon said on Monday. 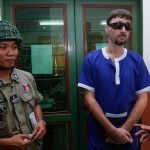 Some eight years after he fled fraud charges in his home country, Russian fugitive Vladimir Batalin faced a deportation hearing at the Court of Appeal in Phnom Penh on Thursday. The Phnom Penh Municipal Court on Wednesday struck down another request from embattled British businessman Gregg Fryett to reinvestigate all evidence collected by disgraced former court director Ang Mealaktei in a fraud case that has seen Mr. Fryett jailed for more than three years. A deminer killed in Pursat province late last month was using the “wrong tool” while clearing an area of land in the infamous K-5 minefield when he detonated an anti-personnel landmine, according to a preliminary investigation by HALO Trust, the NGO for which he worked. The Khmer Rouge tribunal has delayed the long-awaited appeal judgment in the first case against senior Khmer Rouge leaders Nuon Chea and Khieu Samphan for a second time, drawing criticism from civil party lawyers worried about the advanced age of their clients and the appellants. Prime Minister Hun Sen’s personal website was hacked by members of the group Anonymous on Saturday, its homepage replaced with a video showing graphic images of dead bodies and acts of state-sponsored violence in Cambodia over the past 30 years. Police are analyzing DNA samples to try and determine if a 9-year-old girl found dead in a ditch in Kandal province on Wednesday was raped before being murdered. 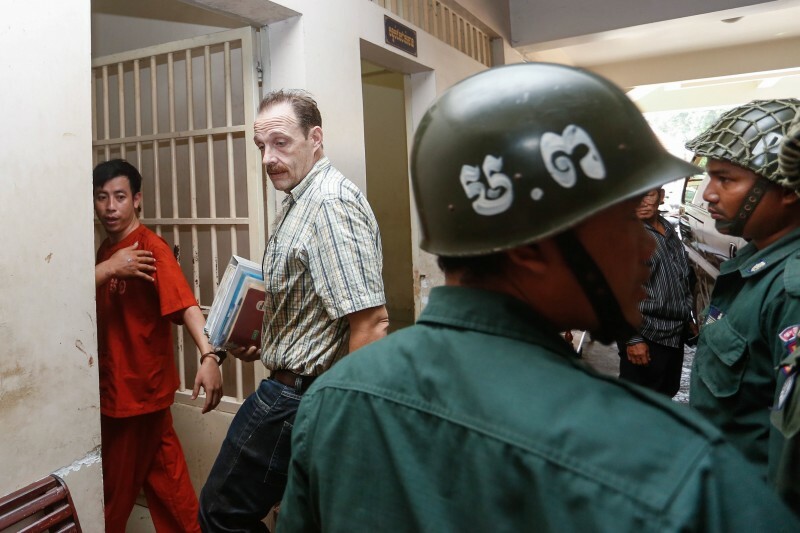 British businessman Gregg Fryett called for a reinvestigation of the fraud charges against him at the Phnom Penh Municipal Court on Wednesday, arguing that the evidence underpinning the case should be tossed out as it was collected by disgraced former court director Ang Mealaktei. 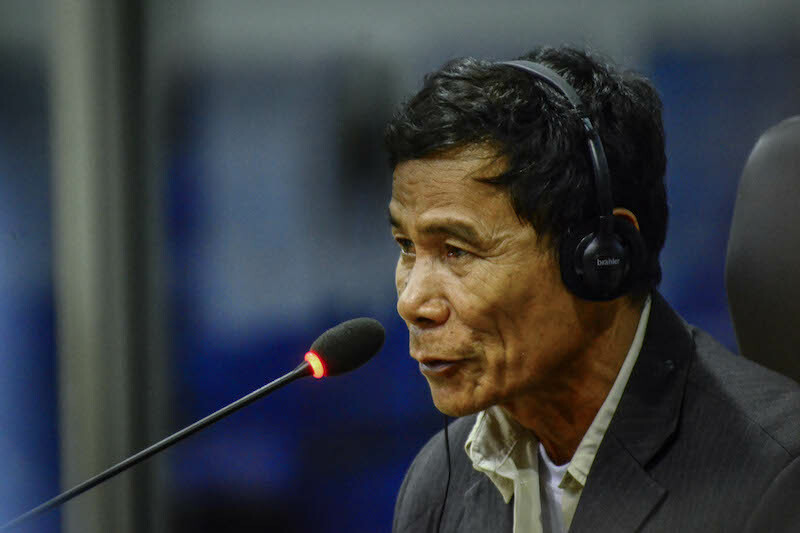 As many as 100 prisoners were executed outside Phnom Penh’s S-21 security center every week before the murderous operation was transferred to the Choeung Ek killing fields, a former guard told the Khmer Rouge tribunal yesterday.